After a long flight from Atlanta, we arrived in Munich, where we were met by a welcoming Viking Cruise staff. First impressions are important and from that very first meeting at Munich Airport, we were pleased by the efficient service we received. There were about 30 of arriving on the same flight and after we had collected our bags, we were ushered to a very comfortable bus for the nearly two hour drive to Passau, where our Danube Waltz adventure began. 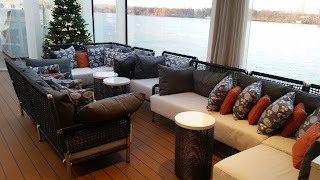 Fortunately, our cabin was ready, so we were able to unpack and settle in before going to the glass-enclosed Aquavit Terrace for what was listed as a "light lunch," consisting of soup, delicious Paninis, pasta and chocolate mousse for dessert. A short nap was de rigueur to recover from the long flight after which, we attended the welcome cocktail, where we were given an overview of the ship, its activities, tours etc. before being invited into the main dining room for open seating dining, which is at 7 p.m. Lighter fare is served in the Aquavit Terrace at the same time. The advantage to open seating is that you get to meet a lot of interesting people throughout the voyage. We ended up with four very nice dining companions - a mother-daughter duo from Pittsburg - and a couple from California, whom we accompanied into Passau later to explore the small town. 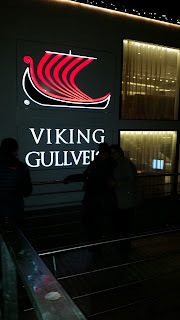 Sometimes the best things in life come in small packages and Viking Gullveig is no exception. Since I'm used to ocean liners, I like to think of this as a wonderful "petit ship." 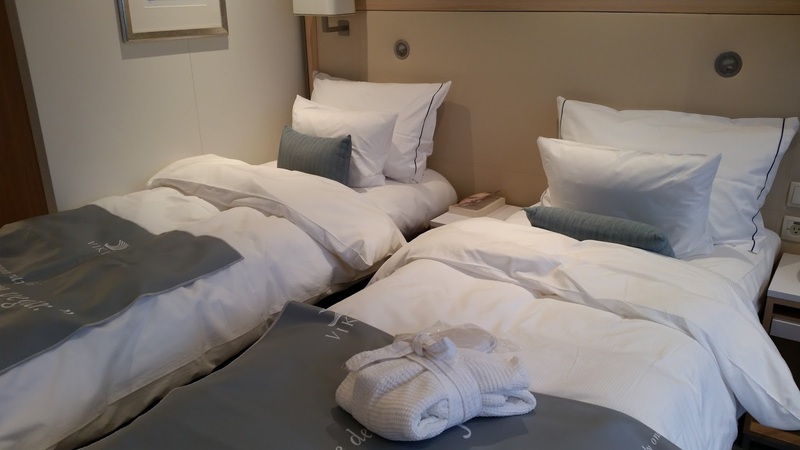 Launched in 2014, it has four decks with 95 outside staterooms - 39 of which have verandas -hotel-style beds, a private bathroom (with heated floor and adjustable temperature control), roomy closets and storage space, a safe, flat-panel TV and premium bath products. The main dining room - described as "casual, yet elegant" - is enveloped by large windows, as is the Aquavit Terrace - at the ship's bow - with floor to ceiling panoramic windows, which are open during warm weather sailings. 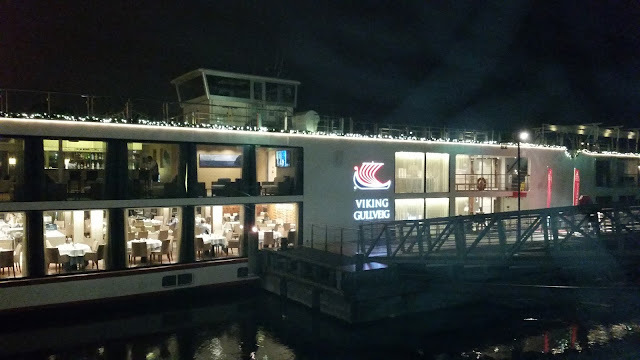 The ship also offers complimentary WiFi - although it was understandably slow because - as the staff told us - it's used by everyone else along the Danube. 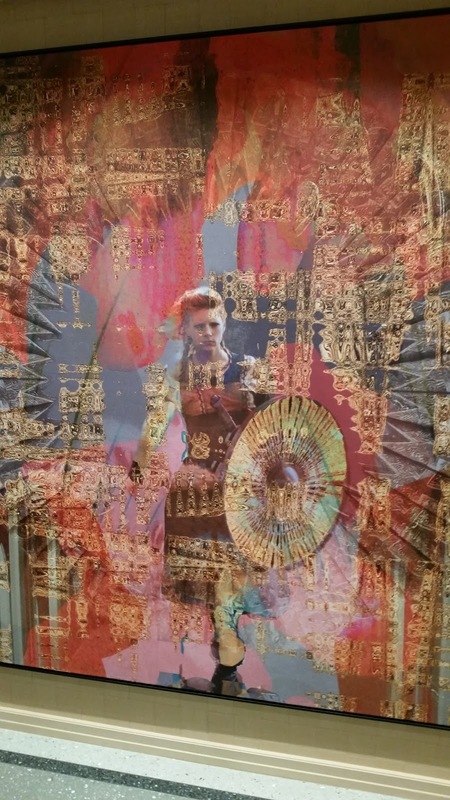 In Norse mythology, Gullweig is a powerful seer, who has a passion for gold. We were told to appeal to her for a safe journey and good weather. It's funny how a song can transport you in time. I grew up being treated to blasts of Austrian composer Johann Strauss' music every Sunday, courtesy of my father who was a huge fan of classical music. To this day, when I hear those waltzes, I wax nostalgic about my long-gone parents. So, when I had the chance to sail Viking River Cruise's "Danube Waltz," on board the Viking Gullveig I didn't hesitate. No stranger to ocean cruises I'd never experienced a river cruise so this proved to be a true adventure. The chance to visit Europe in December and be able to explore new countries and visit the legendary Christmas markets was an added incentive - as if I needed one! 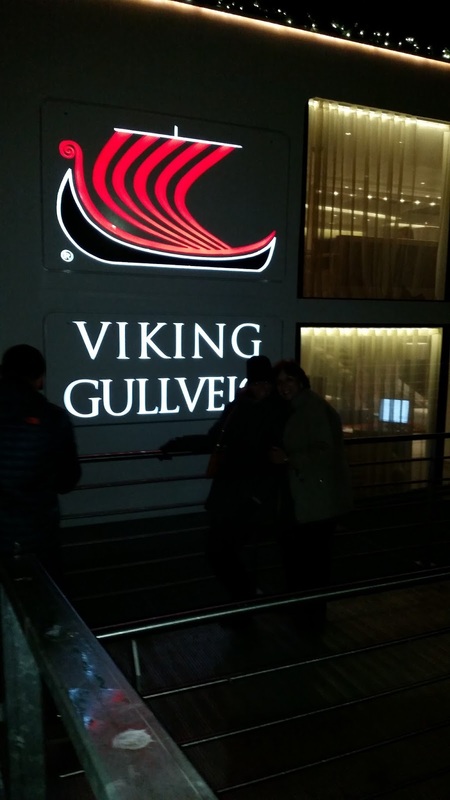 We sailed on Viking Gullveig on Saturday for seven days, from Passau, Germany to Budapest, Hungary with my daughter Kimberly - a destination wedding planner who's always on the lookout for new and wonderful places to suggest to her brides. We were met at Munich airport by a Viking representative and taken on a nearly two-hour drive to Passau, where we embarked on our comfortable ship. The seven-day itinerary called for a day in Passau, followed by stops in Linz, Salzburg, Melk, Durnstein and Vienna in Austria; Bratislava, Slovakia and Budapest, Hungary. Palaces, castles, abbeys, a visit to Mozart's birthplace and many other enticing sights were along the way. The longship Gullveig has four decks with 95 outside staterooms - 39 of which have verandas - hotel-style beds, a private bathroom, roomy closets and storage space, a safe and amenities including flat-panel TVs and premium bath products. 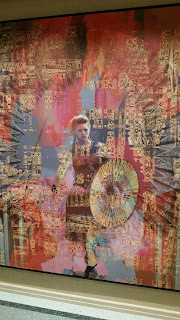 In Norse mythology Gullveig was a seer. 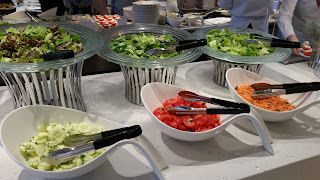 The restaurant, described as "casual, yet elegant," features floor to ceiling panoramic windows and dishes up "regional specialties and contemporary cuisine." The Aquavit Terrace offers outdoor seating at the bow of the ship - although I wasn't sure if the December weather would allow such outings - but the sun deck, putting green and walking track would definitely make up for it. The Library and Observation Lounge offered quiet places to listen to soft piano music while watching Europe's riverbanks glide by. A host of onboard activities included hands-on demonstrations, cooking classes, local tastings and much more. An optional Strauss concert was offered in an historic venue in Vienna, where the composer was born in 1825. I had to check that out. 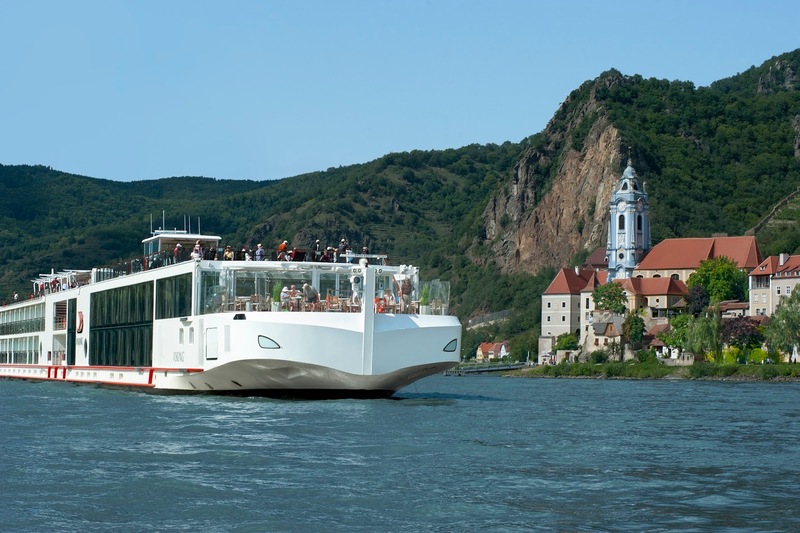 After all, Strauss is what motivated me to embark on the Viking Gullveig's Danube Waltz itinerary!